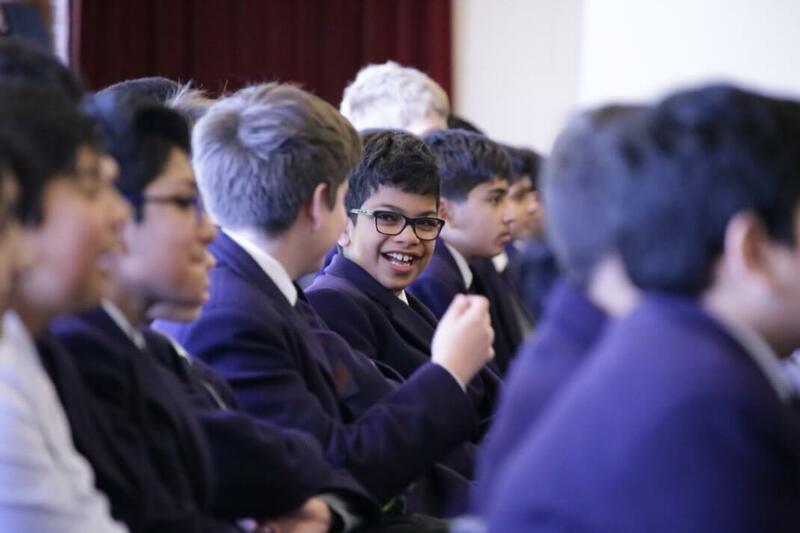 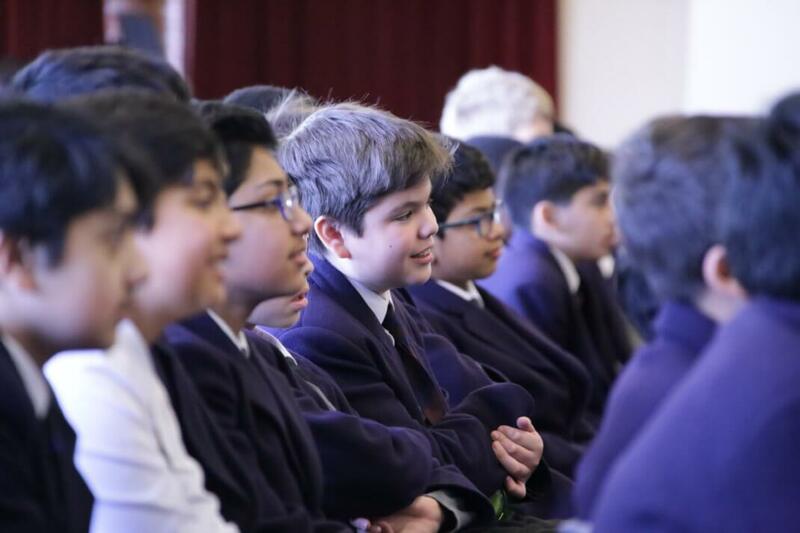 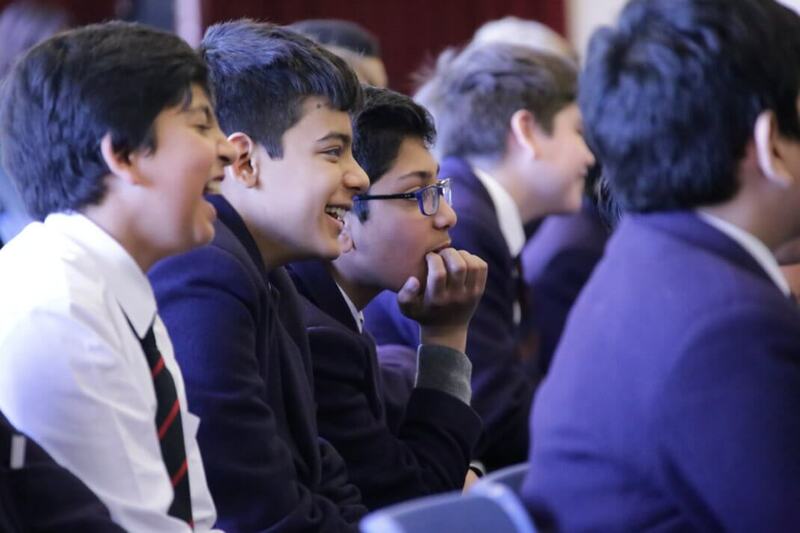 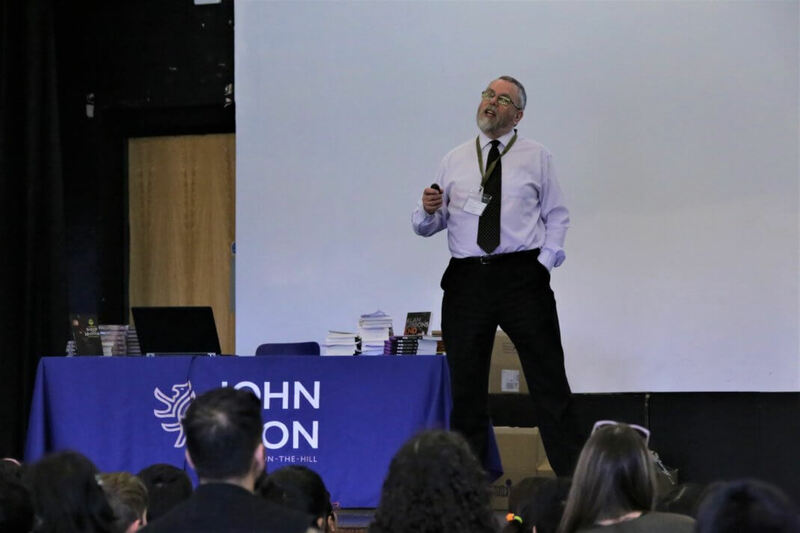 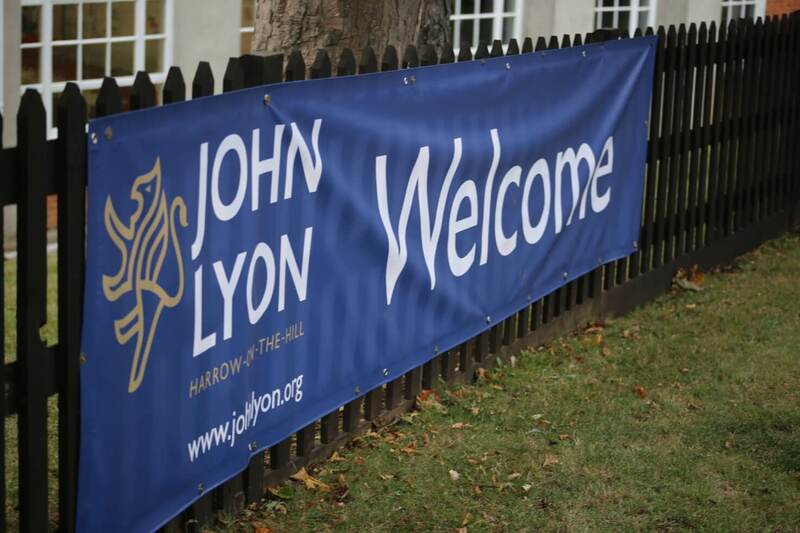 A leading light in UK children’s literature, award-winning author Alan Gibbons, has talked about his life writing more than 70 books to a packed audience of John Lyon pupils and children from other North West London schools. 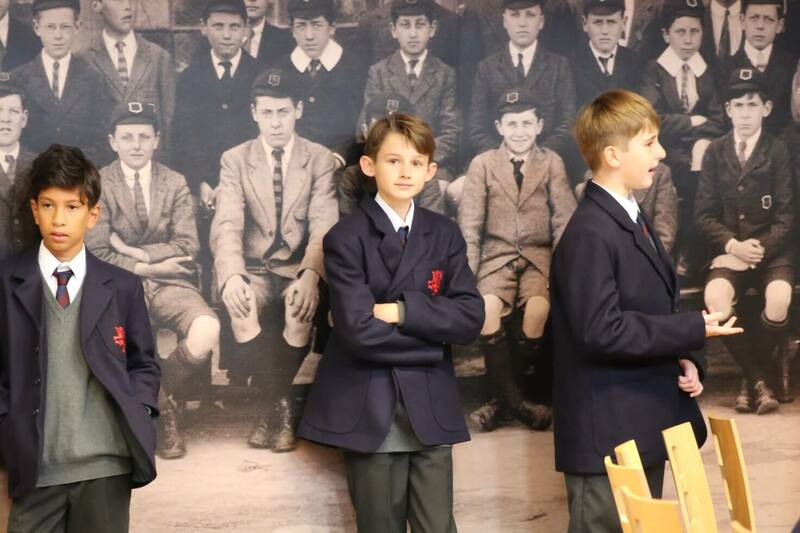 Speaking on Tuesday 26th March to an audience of more than 250, which included children from Quainton Hall School, Roxeth Primary School and St Anselm’s Catholic Primary School, Mr Gibbons gave a whirlwind 90-minute account of his life, from growing up in the North West of England, to becoming a teacher and ultimately moving into a career as a multi-award-winning author of children’s literature. 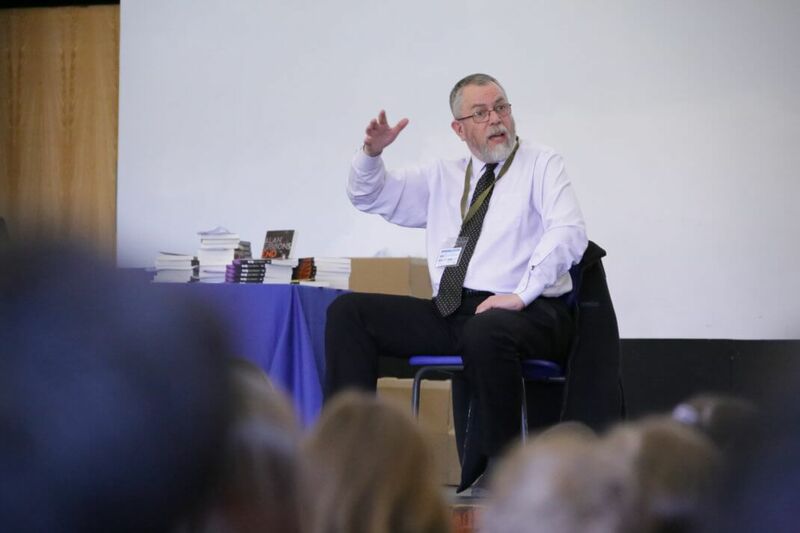 In the fast-paced talk which was funny, thoughtful and moving in equal measure, Mr Gibbons talked about a number of his books including his 2000 fantasy thriller, Shadow of the Minotaur, which won him the Blue Peter ‘book I couldn’t put down’ award, beating a certain J K Rowling and her story about a boy wizard to the title. 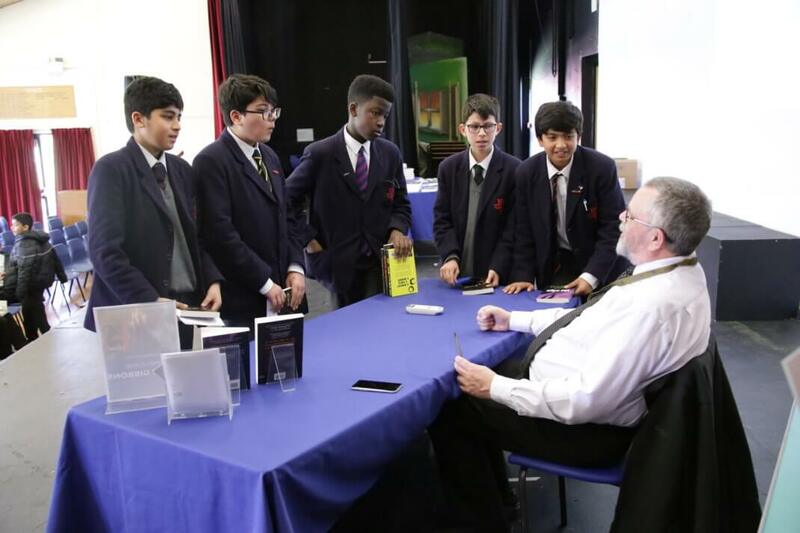 What struck the audience of pupils aged from nine to 13 was the sheer range of books Mr Gibbons had written, from adventure novels to books about football, including a biography of Wayne Rooney, and to books tacking difficult and often emotional subjects including Whose side are you on? 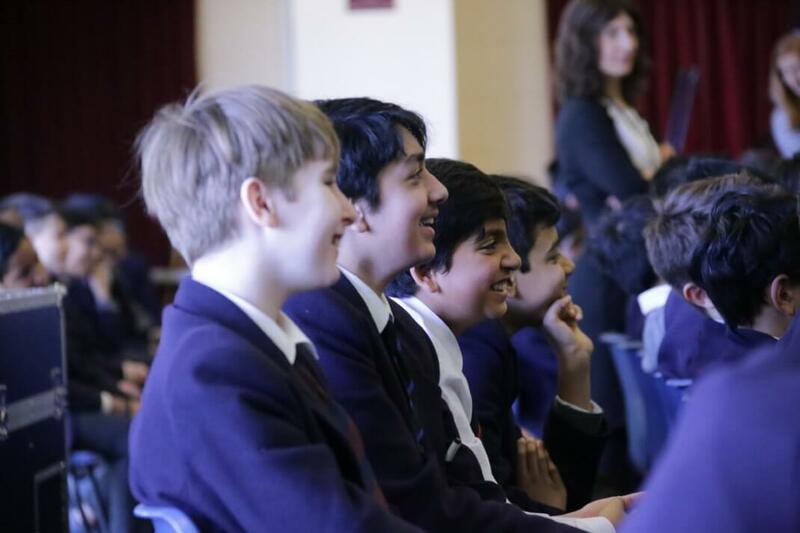  which tackled racism and bullying, Hate, a novel based on the vicious murder of Sophie Lancaster in 2007 and The Edge, about a boy and his mother escaping domestic violence. 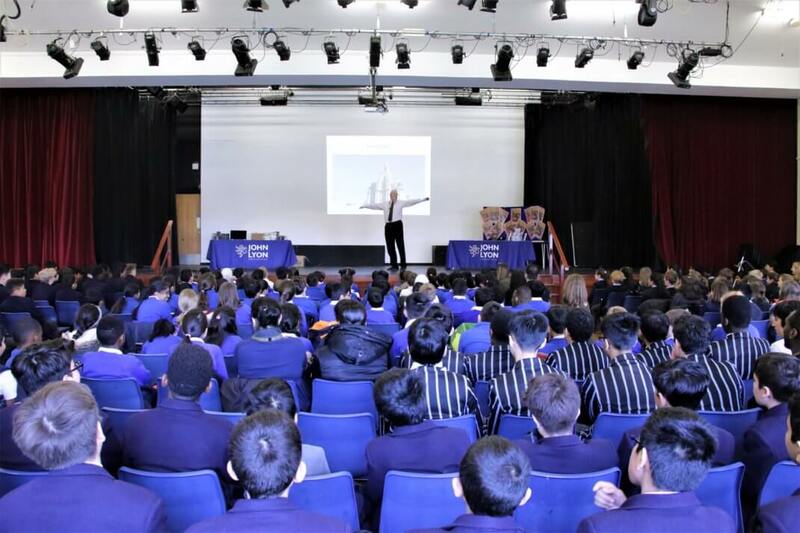 The talk also included stories of visiting thousands of schools in more than 70 countries right around the world, his deep hatred of bullying and inequality, his home town Liverpool (“The nation’s capital”), his love of Manchester United, super heroes and, more bizarrely, onesies. 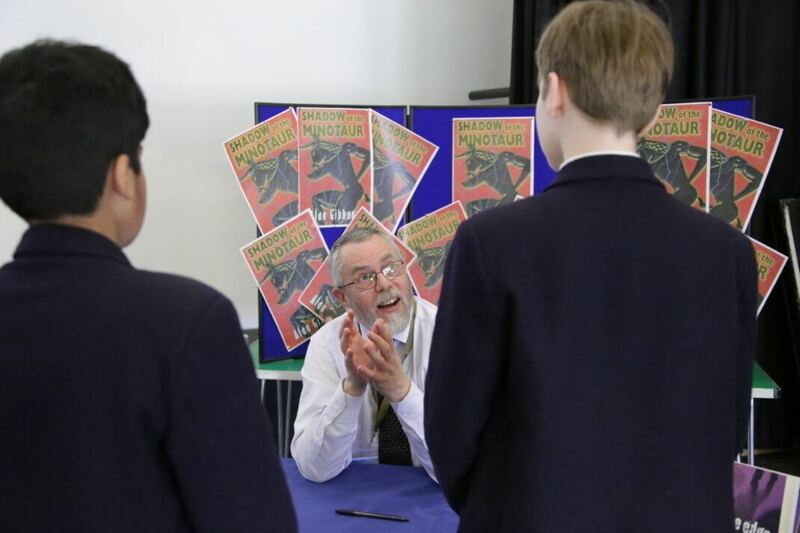 The talk was rounded off with a Q&A session, in which the award-winning children’s author was able to answer dozens of questions from children from all the schools. 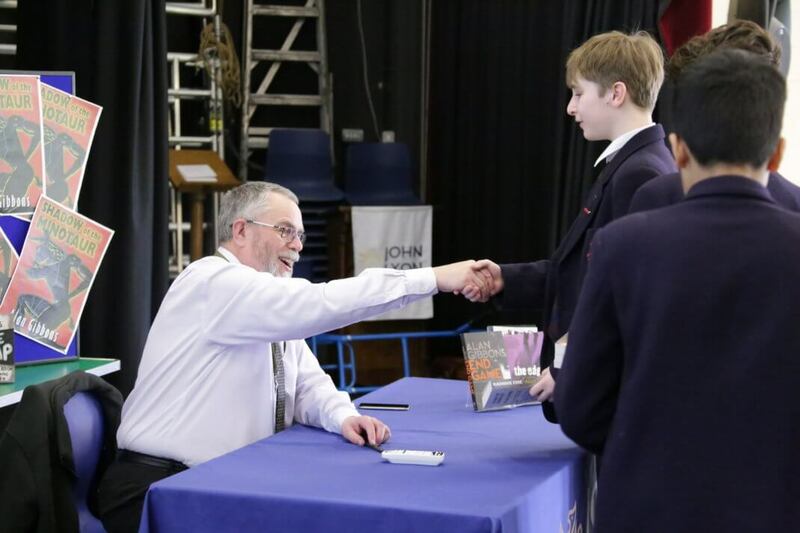 He then signed books and talked to pupils.